Situated on the 4th floor of the Platinum 1 building (which you probably already know of, considering that it houses Mango, Nike and The Body Shop), Kingsbury’s Lobby Bistro provides good vibes, great food and sea views disappointingly marred by plentiful construction around the area. The Lobby Bistro has utilised a neutral colour palette throughout the space with floor to ceiling glasses offering plenty of natural lighting with not-so-great unobstructed views. A pity, considering that a rooftop location would have served as a better vantage point. There's also an outdoor area with a swimming pool (usage is only limited to residents and guests of Kingsbury's serviced apartments) and a few tables scattered about. Nevertheless, the interior is quite lovely and well spaced. 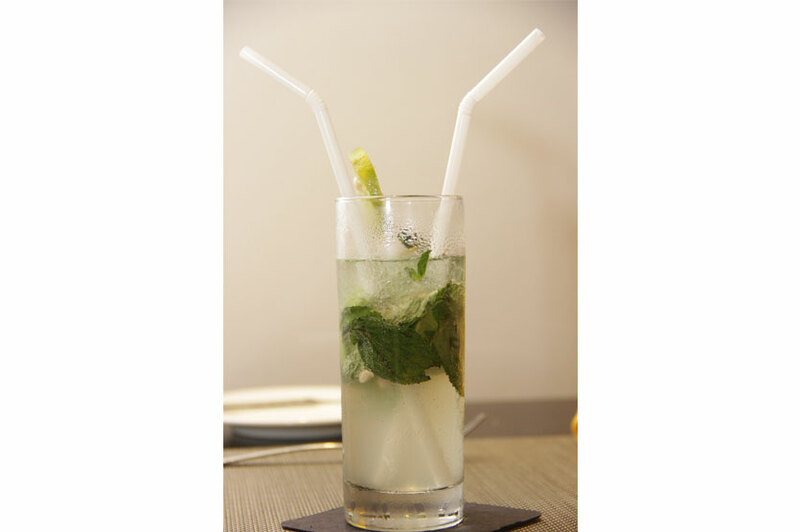 There is quite an extensive beverage menu here, and we picked a few mocktails to try out. Blossom Breeze (Rs. 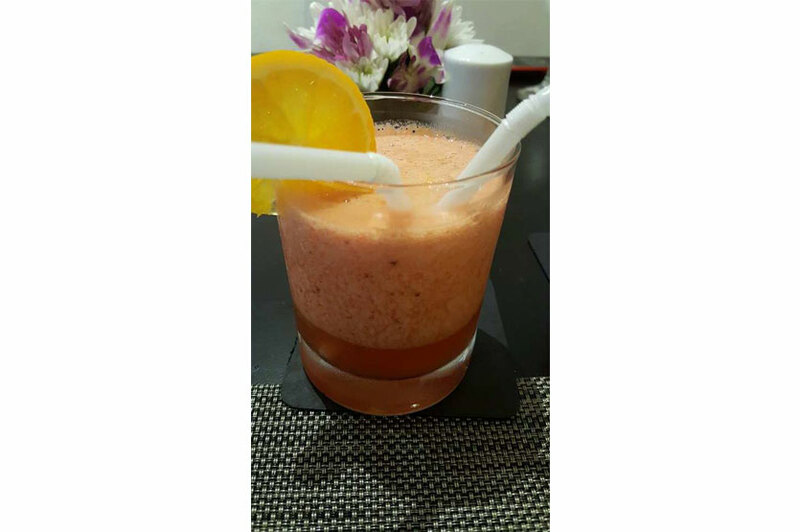 781) was a delightful citrus-y concoction of passion fruit, strawberry, orange juice and lime which was our absolute favourite. The King’s Cooler (Rs. 781) was a blend of king coconut, strawberry, mint and crushed ice. The Virgin Mojito (Rs. 651) comprised of lime, mint, soda and crushed ice. All 3 mocktails stood out in their own way with the distinct flavours of all ingredients well balanced and sharing the spotlight. The mocktails we tried were all contenders for the top spot, despite the Blossom Breeze ultimately winning out. We started off with the Classic Caesar (Rs. 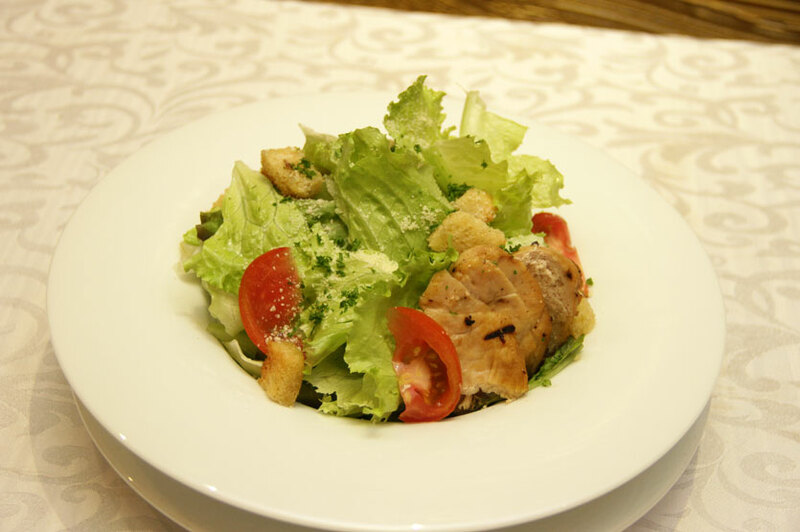 700++) which comprised a sizeable portion of romaine lettuce, tomatoes, parmesan and garlic croutons and chicken tossed together with a side of creamy Caesar dressing. While the croutons were the hero of the dish, the chicken fell a little short as it was a little overdone. Our appetiser meanwhile - Wings (Rs. 700++) -was extremely mouthwatering, succulent and we have absolutely no qualms in recommending it to anyone. 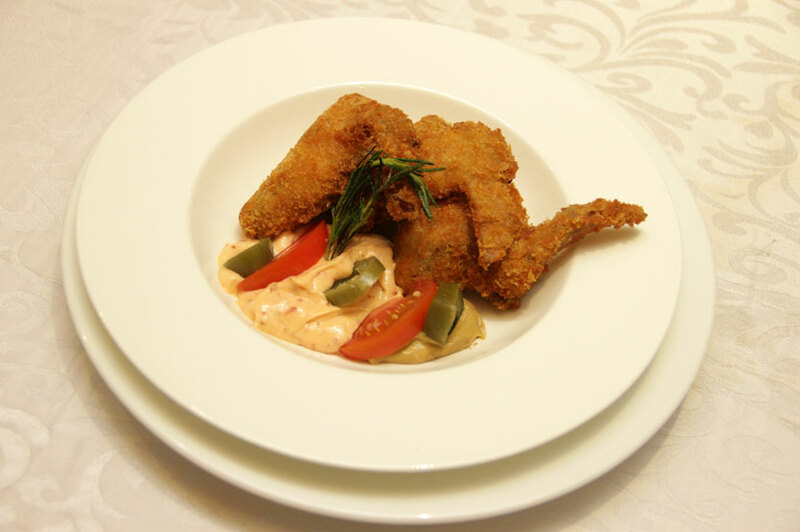 Fried in flavoured breadcrumbs, the wings were well fried, perfectly crispy and the meat very succulent. The wings were further supplemented by the accompanying tabasco buffalo sauce which gave it an interesting edge. 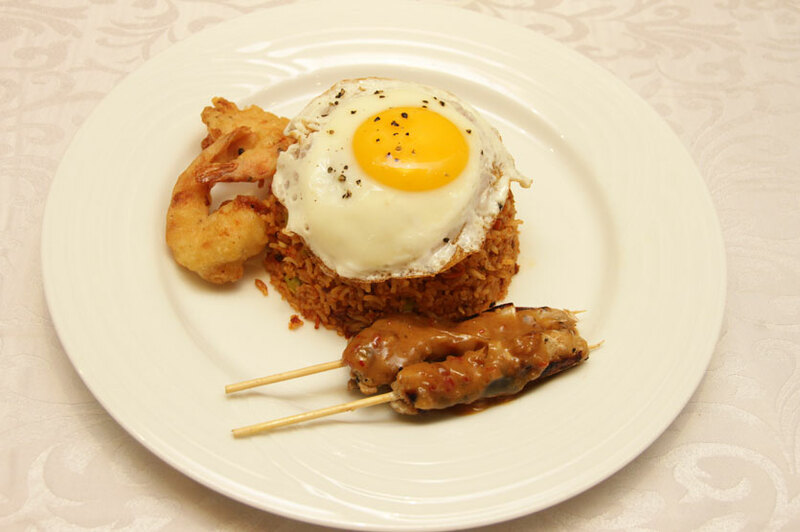 For mains, we picked the Mixed Indonesian Nasi Goreng with Fried Egg, Chicken Satay and Prawn Crackers (Rs. 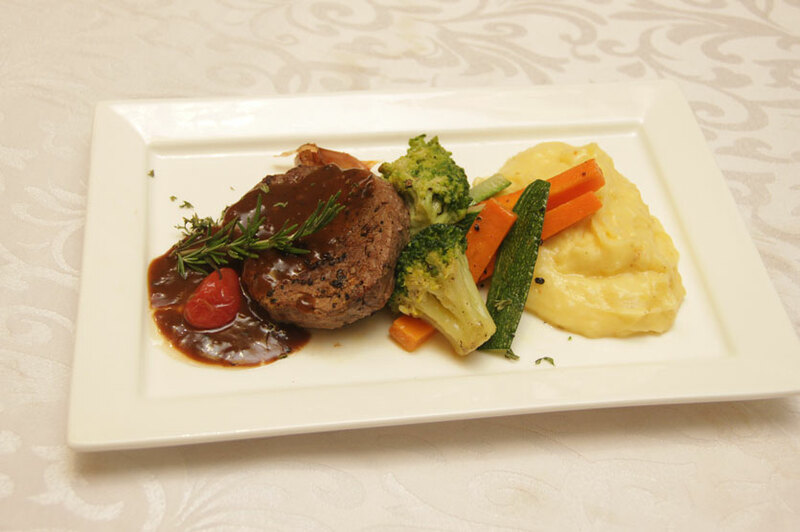 750++) from the Business Lunch section, Beef Fillet Steak with Mashed Potatoes and Steamed Vegetables (Rs. 1200++) from the All Time Favourites and Butter Chicken (Rs. 950++) from the Indian menu. The Nasi Goreng was one of the more legitimate and true to its authentic roots version available in town. In a country famous for serving a shamelessly sorry excuse for a nasi, with the rice swathed in a plethora of sauces, this one stood out thanks to the distinct flavours that emanated from the sambal olek. The satay too was bursting with flavour, especially since this wasn't the usual peanut butter substituted rip off. The dish also included 2 prawns fried in a light batter. We ordered the steak medium rare and it was quite unfortunate that it bordered on medium well. The steak did however make up for the shortcoming thanks to the fact that it was well flavoured and juicy while still being succulent. The silky smooth mashed potatoes and steamed vegetables made for a perfect marriage of flavour. 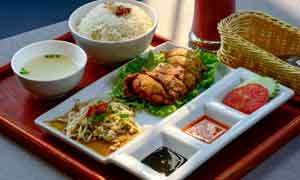 Our final main, Butter Chicken, was served with steamed rice and a few accompaniments. 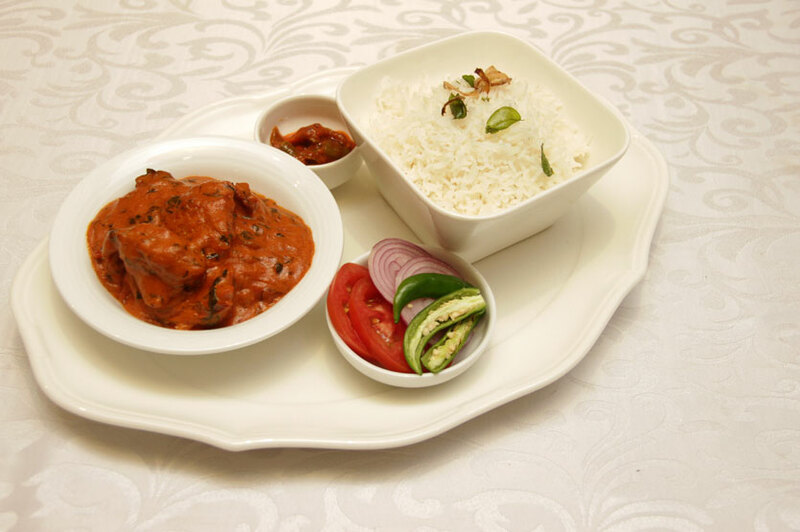 The creamy and succulent butter chicken made for delicious fare, which we loved. For dessert, we opted for the Crème Brûlée (Rs. 600++) and Apple Crumble (Rs. 600++) which comprised of sweet apple, rhubarb and golden oat crumble topping served with warm crème anglaise with a huge dollop of vanilla ice cream. 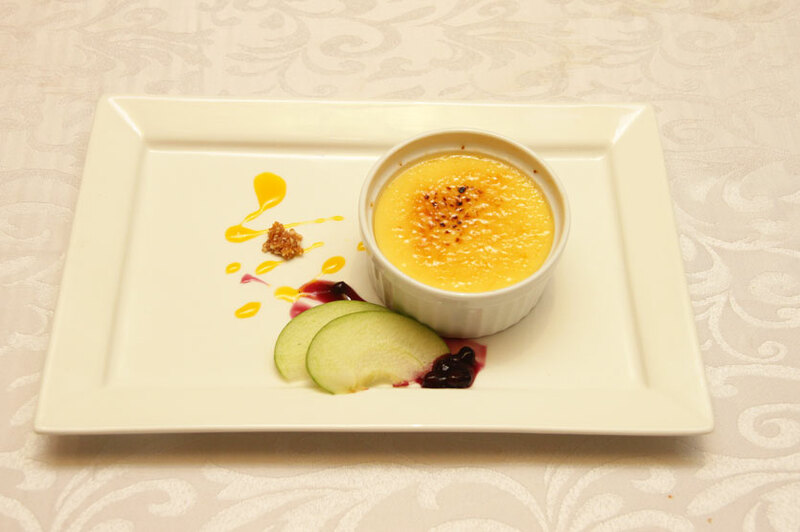 The rich layer of not-too-sweet custard beneath the layer of caramelised sugar made the Crème Brûlée well balanced. 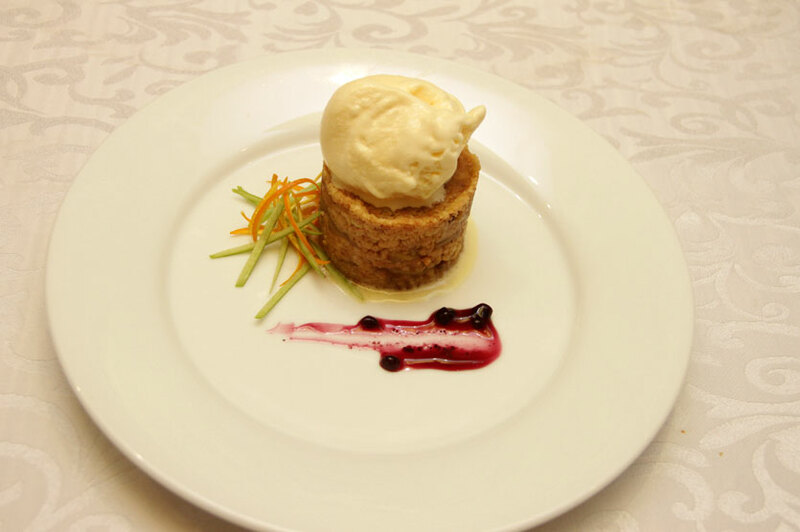 The Apple Crumble meanwhile was texturally rich and vibrant, and paired with the ice cream, made for a hearty dessert. 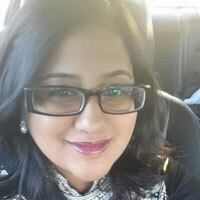 The staff at the Lobby Bistro were all very friendly, helpful, attentive and courteous. Plates were cleared as soon as we were done, and our glasses were constantly refilled with water. It was nice to not have to constantly be on the lookout for wait staff to make any requests since they were always around and accessible. The visually appealing presentation of our meals was also another plus point. 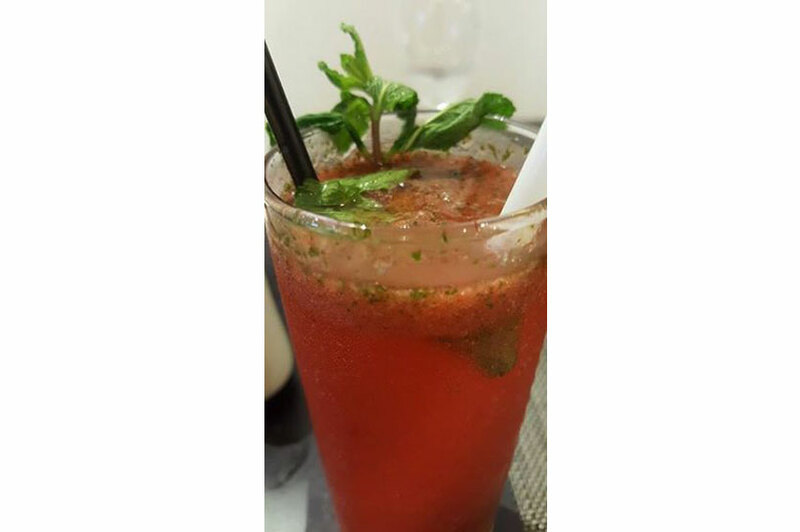 If you're heading out for a business lunch or if you're in the mood for a chilled out hang out spot, then the Lobby Bistro should definitely be on your radar. Overall, we had a great experience here and we'd highly recommend the Lobby Bistro for the excellent food they serve all day long. I'm sorry but I have never had or heard of " mouthwatering, succulent " chicken wings. Where is the succulent meat in a chicken wing? Rs 700++ for two measly chicken wings is a rip off. Are you serious Sonali? 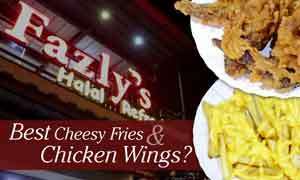 Do you enjoy eating chicken wings in which the meat is tough? The SKIN is crispy. Not the meat itself. Get your facts straight! !